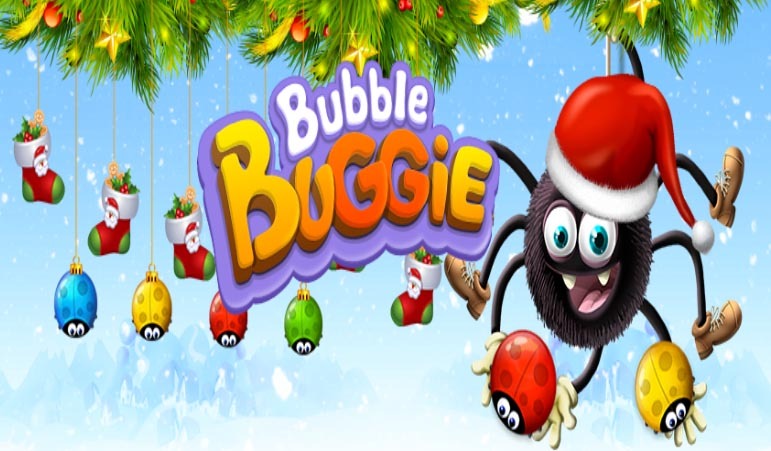 Bubble Buggie Pop - bubbles and buzz through juicy, colorful levels with a cute spider and lovely ladybugs! Be the first to explore amazing buglands and meet the merriest of the many-legged critters in each episode. ★ Get ready to bounce back to ancient times and dive into myths and fairy tales. ★ Blast through infected bubbles, cocoons, angry bees and even deadly dangers. ★ Use Boosters and Super Powers to destroy multiple bubbles in one shot, get super-vision or make yourself immortal. ★ Connect with your Facebook friends to live the most incredible bubble adventure of all time alongside them! Bubble Buggie Pop: install APK and play the game.